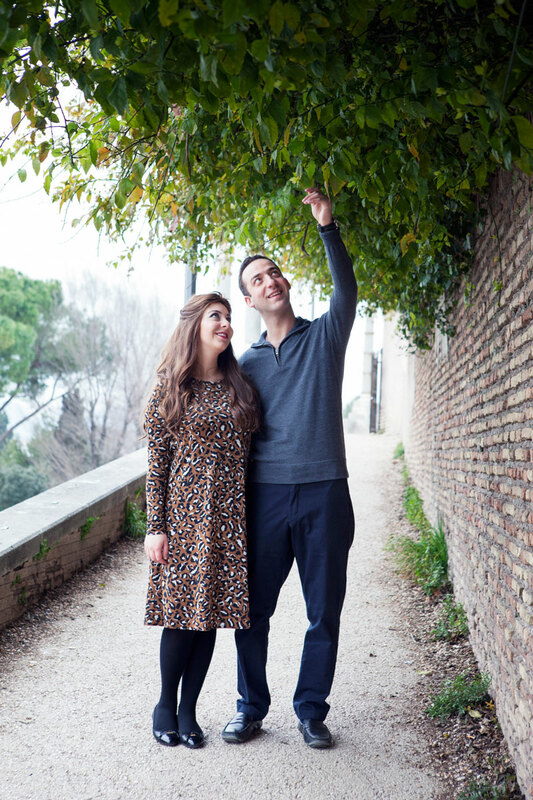 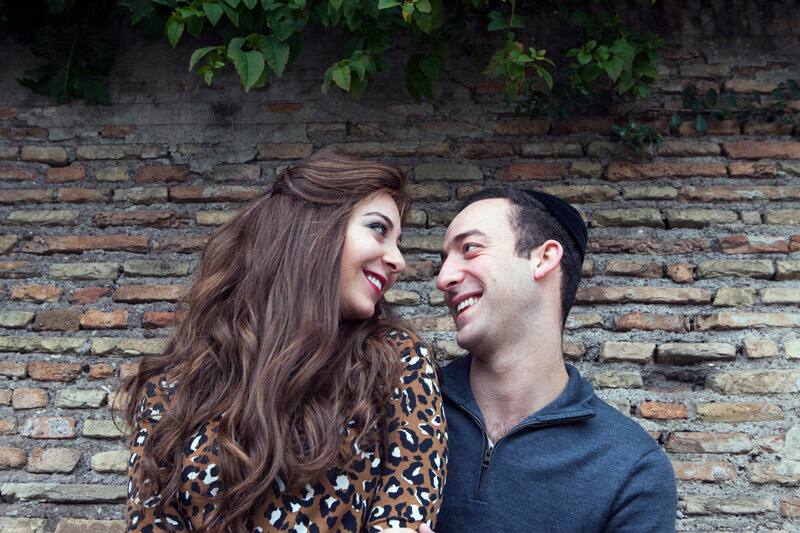 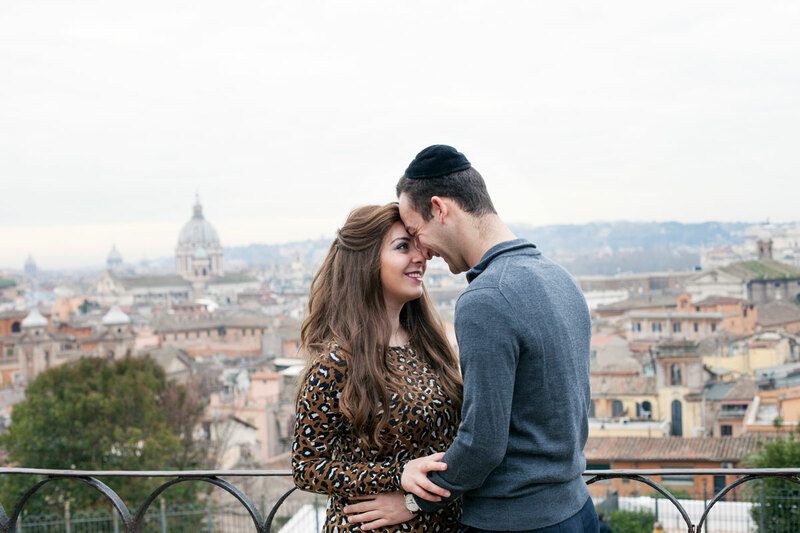 Sam and Rachel are a very young couple who arrived to Rome from another Eternal city: Jerusalem. 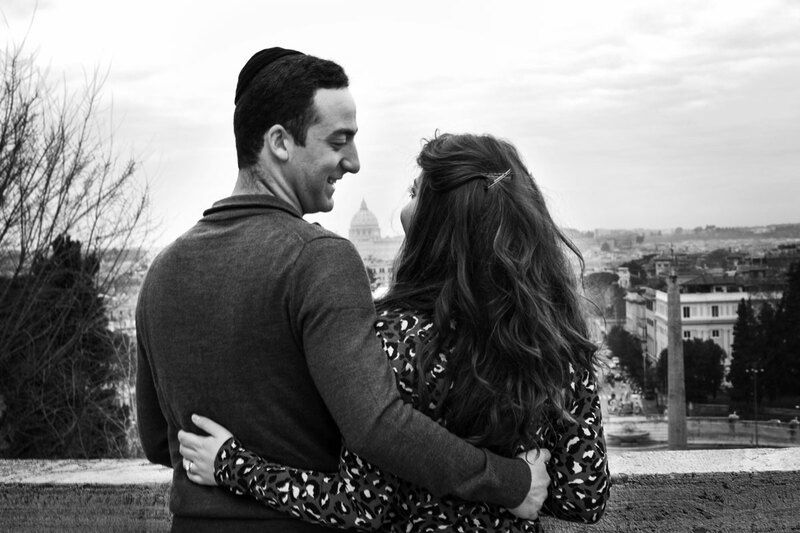 They were on their Honeymoon here and were expecting their first child. 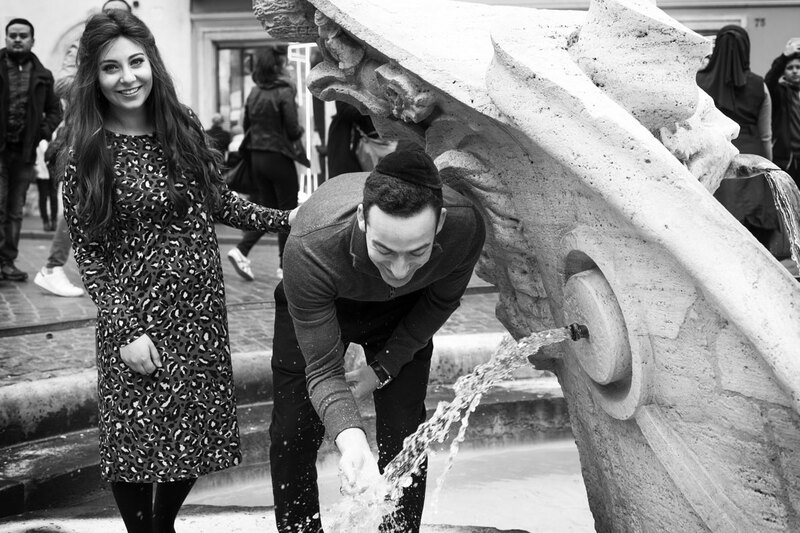 So many things to celebrate, and therefore what better time than to take photographs that they will be able to look back on for years to come? 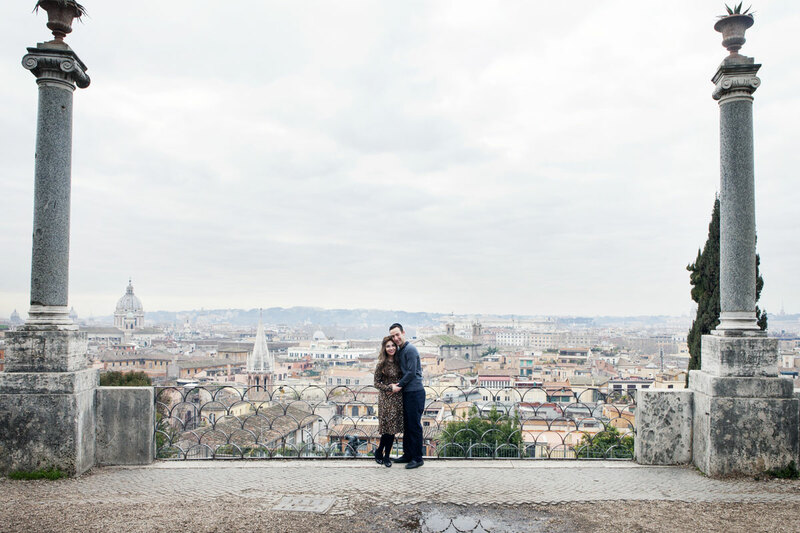 We started on the magnificent corner of the Borghese Gardens calle Pincio which command a beautiful view of Piazza del Popolo and the panorama of our beautiful city. 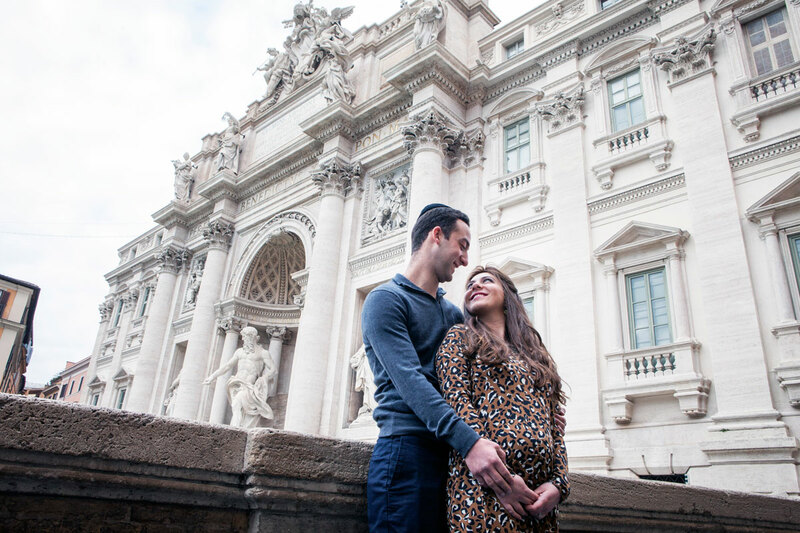 We then walked down the Spanish Steps, which have been newly re-opened after a long restoration and cleaning process, took some time by the Barcaccia fountain in Piazza di Spagna, walked down the glitzy Via Condotti and tended up at the fountain known to all lovers in the world: The majestic Trevi Fountain! 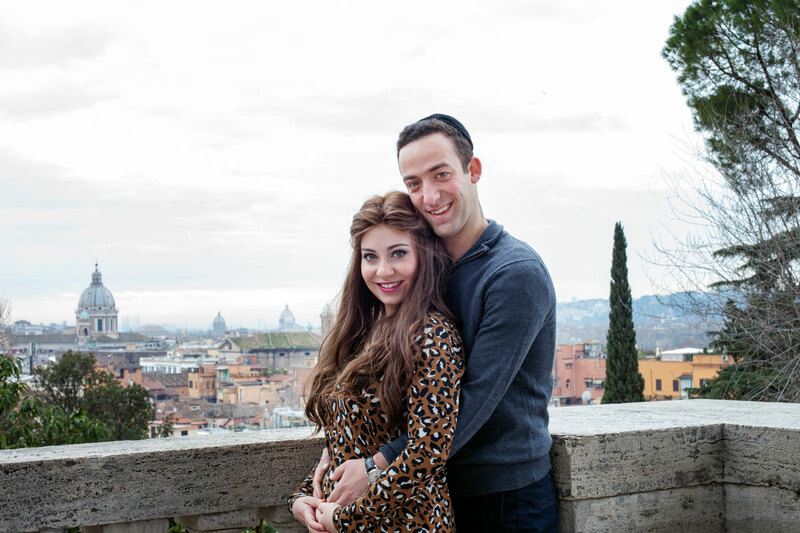 They were on their Honeymoon here and were expecting their first child.